Jammu: As the lives of thousands of people living close to the Line of Control (LoC) and the international border in Jammu and Kashmir remain on the edge, tensions between India and Pakistan suggest their suffering is not going to end anytime soon. A day before and the day after the holy Muslim festival of Eid-ul-Azha on Saturday, Defence Ministry sources said the Pakistani army resorted to unprovoked shelling and firing to target military and civilian facilities in Poonch and Rajouri districts. "During this year till August, there have been 285 ceasefire violations on the LoC and 221 on the international border by Pakistan.'' "In 2016, during the entire year there had been just 228 such violations," government sources pointed out.Ten people, including soldiers and civilians, have died in these truce violations. 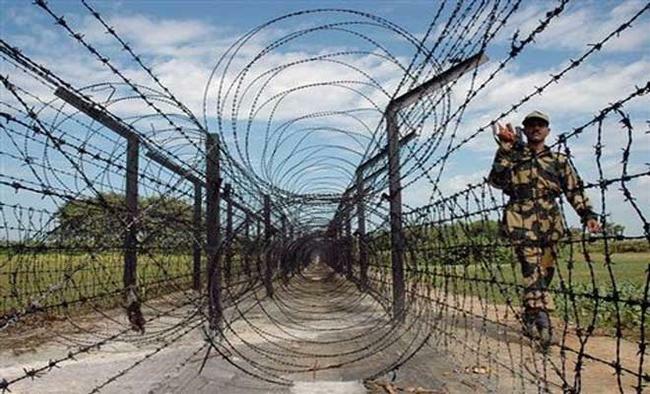 The cross-LoC trade and the cross-LoC bus service between Chakan Da Bagh and Rawalakot, started as a confidence-building measure (CBM) between India and Pakistan, has remained suspended for the last two months due to heightened tensions on the LoC in Poonch district. "We are passing through war times without India and Pakistan announcing a war on the LoC. "Our lives, livestock and livelihood have remained hostage of guns fired by the two armies. We sow crops, but are never sure whether there would be anything to reap because of shells raining on our agricultural fields," said Noor Muhammad Kasana, who lives close to the LoC in the Mendhar sector. The authorities had to shut educational institutions for three days before Eid because of indiscriminate shelling from across the LoC in the Mendhar sector. The lives of thousands of villages living close to the international border in Jammu, Samba and Kathua districts are no better than those living close to the LoC in Poonch and Rajouri districts. "We had hoped that the BJP coming to power in the Centre would end our miseries due to border firing. That has not happened.'' "We have lost hope of a better tomorrow. We have been living here for generations and have nowhere else to go now. "What happens to our children if the endless tragedy continues," asked Balbir Singh of R.S. Pura sector in Jammu district. One can see the trench line dug by the Indian Army beyond which no civilian movement is allowed near the international border during times of aggressive firing and shelling by Pakistan Rangers.The problem for the farmers in Jammu, Samba and Kathua districts is that most of their agricultural land is situated beyond the trench line. At places, even homes and schools are situated beyond the "out of bounds areas" while firing and shelling escalate on the international border. The border residents are also angry with the state and central governments because they were promised land away from the shelling areas to relocate their homes. This, the villagers allege, has not happened. "Ministers of the state and central governments have been coming here during the last three years. They promised us small pieces of land to build homes away from the shelling areas, but this has not happened till today. "Each time tensions mount, we shift with families to makeshift accommodation in schools or religious places, where we remain till ordered to move back. We are living unsure, without any hope of the future", said Sham Lal, resident of Hira Nagar border area in Kathua district. As in areas close to the LoC, the education of children becomes the first casualty of the shelling. Schools in areas along the international border are closed the moment Pakistan starts indiscriminate shelling. "Schools in areas close to international border remained closed for over a forthright during the last seven months due to border tensions", said an official of the provincial administration. Disaster management teams, ambulances and makeshift accommodation are not good news for the border residents. The arrival of these "facilities" have always brought horror into the lives of villagers living along the LoC and the international border.Given the state of affairs, one can only avoid telling these innocent villagers that their tragedy is not going to end too soon.